You may ask what the Beatles have to do with transferware. The answer is "nothing." 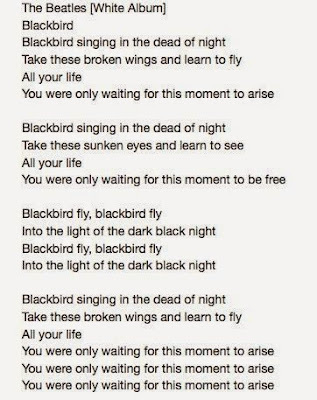 I really just want to share one of my favorite Beatles' songs; Blackbird. I have learned a lot about life from the words of this song. Particularly, "Take these broken wings and learn to fly." "Blackbird" lyrics from the Beatles "White Album"
However, this is a transferware blog, so I thought I would see if there were any blackbirds printed on transferware. I didn't find any in the nearly 13,000 patterns in the TCC Pattern And Source Print Database! I did find some patterns with crows. They are black and birds, but are not blackbirds. Sounds like a conundrum. 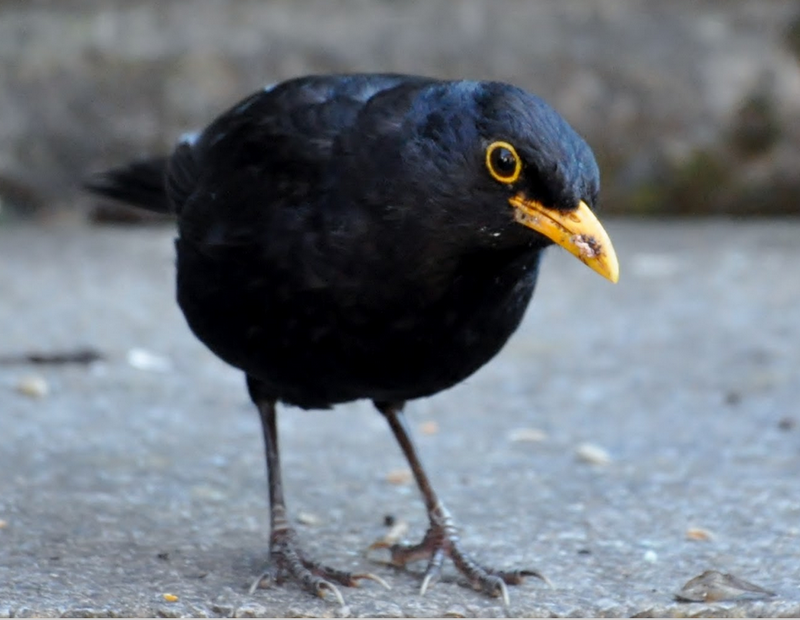 A blackbird is a thrush like the American robin. It is a bird of the genus Turdus. 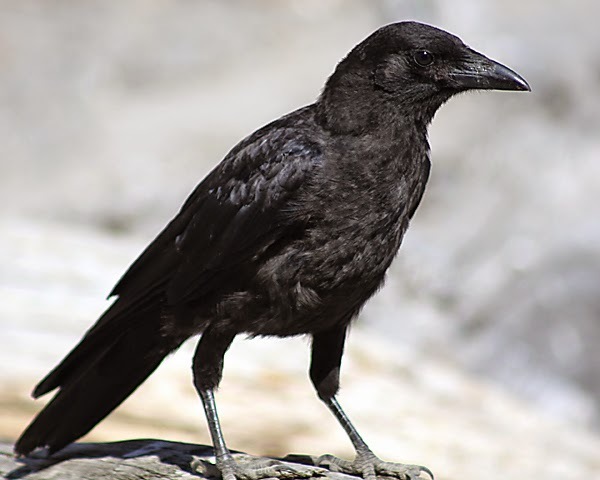 A crow is a bird of the genus Corvus, which includes jackdaws, rooks, and ravens. So, I shall show you two patterns with crows. Both illustrate a fable by Aesop. I have learned a lot about life from Aesop's Fables too. A Fox saw a Crow fly off with a piece of cheese in its beak and settle on a branch of a tree. 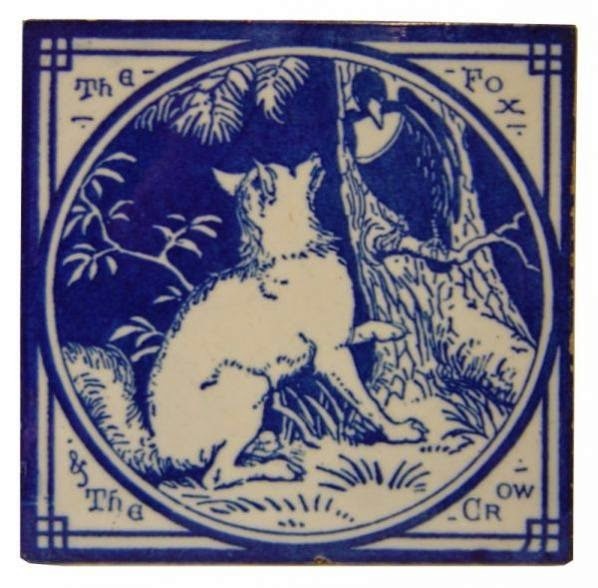 Because he wanted the cheese, the Fox walked up to the foot of the tree and said, "Good day, Mistress Crow. You are looking well today with such glossy feathers and bright eyes. Your voice must be as lovely as your looks. Let me hear one song from you that I may greet you as the Queen of Birds." The Crow lifted up her head and began to caw her best, and the piece of cheese fell to the ground and was snapped up by the Fox. The Fox provided the moral by advising the Crow: "Do not trust flatterers." 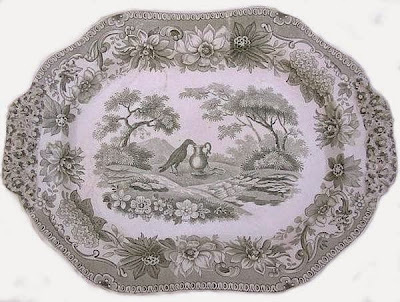 Spode (1770-1833) handled dish "The Crow And The Pitcher." 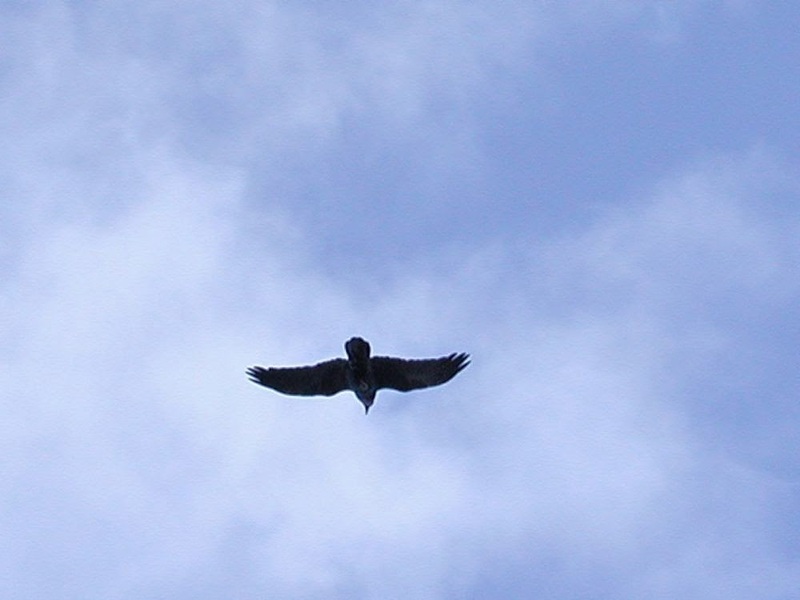 A crow who was half-dead with thirst came upon a pitcher. He found that it had only a little bit of water that was down too low for him to reach with his beak. He started to walk away when an idea came to him. He dropped a pebble into the pitcher, and then he dropped another pebble -- and another and another until the water level in the pitcher rose to where the crow could drink from it. He was able to quench his thirst and save his life. Moral: Little by little does the trick. 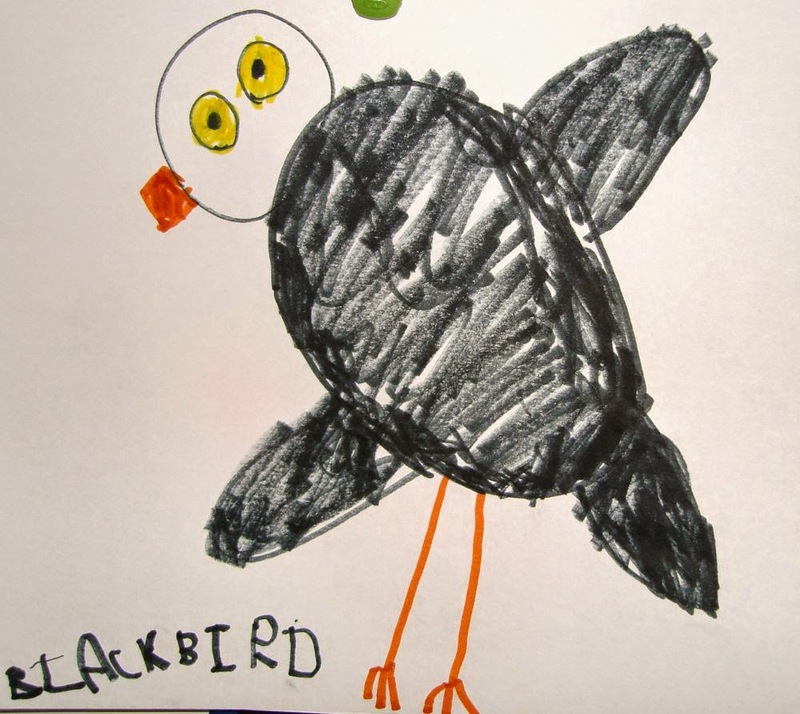 I thought I'd end this post with a link to a youtube video of the Beatles singing "Blackbird." 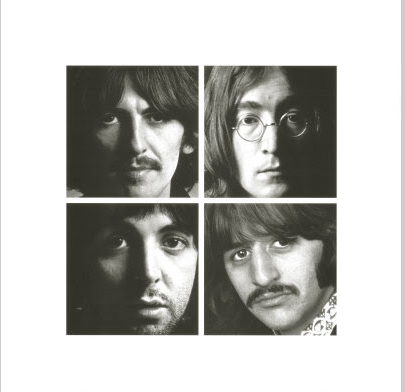 Blackbird is on the Beatles "White Album," which was released in 1968. But then I thought I'd add some more information about Crows and Blackbirds. 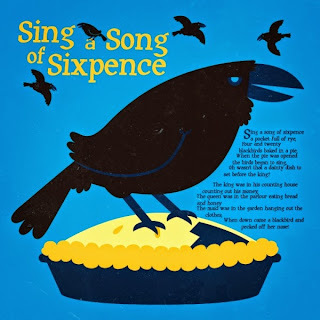 And, I didn't want to forget "Sing A Song Of Sixpence," with its four and twenty blackbirds baked in a pie. One more thing, did you know that the collective noun for crows is a "murder." 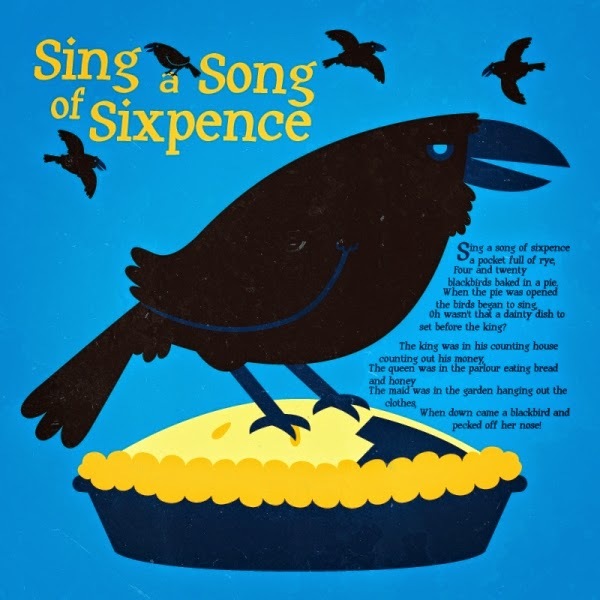 I do love blackbirds and crows. So does Maya.